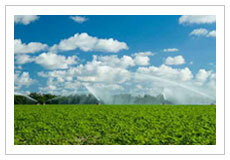 Agriculture sector is the backbone of the Indian economy. 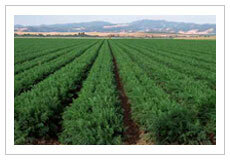 Government is investing huge amount of money for the uplift of agriculture. About 70 % of the Indian population depends upon agriculture sector that's why government is providing free electricity for the farmers but still we are not the leading nation in the world Agriculture sector is one of the energy intensive sector and there is a potential of about 30 % of savings by implementing some of the energy saving tips and steps we can easily overcome the problem of power shortage in other sector as well as we can develop our nation leading in the agriculture sector. The larger valve helps to save electricity / diesel because less fuel and power is needed to draw water from the well. The fewer the no. of bends and fittings in a pipe, more the electricity saves. Sharp bends in the pipe leads 70 % more frictional loss than standard bends. A farmer can save 15 liters of diesel every month simply by reducing the pipe height by 2 m.
The pump works more efficiently when it is not more than 10 feet above the water level of the well. Use good quality PVC suction pipe to save energy and save electricity up to 20 %. Apply oil and grease to pump set regularly as recommended by the manufacture. To improve the power factor and voltage use ISI marked shunt capacitor of right capacity with motor. This will also save the electricity. Switch off the light of well in the day time. Agriculture sector consumes about 35% of the total power generated is consumed in running of electrically operated pump sets in the agriculture sector. Most farmers use inefficient non ISI marked pump sets which consume more electricity and deliver less output. There is a potential of about 25% to 35% improvement in the efficiency of these pump sets by affecting minor/major rectification and shifting to ISI marked pumps. It has been decided to promote the use of ISI marked pump, power capacitor, foot/reflex valves in India to save electricity consumption in the agriculture sector and the use of ISI marked pumps and accessories has been made mandatory for all new tube well connections.